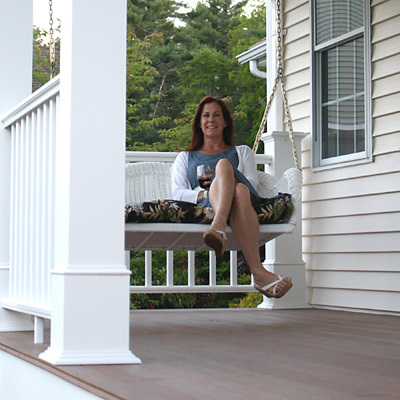 Extend your living space with low maintenance deck and railing materials where you can enjoy a front porch with a swing, back deck with fire pit, or whatever outdoor space you can imagine. New energy-efficient windows and doors are an investment that pays you back year-round. Save on heating costs in the winter and cooling costs in the summer. Planning to paint? Consult with our paint experts. See what colors will look like in your space with Personal Color Viewer by Benjamin Moore. Our experts will provide the perfect paint for any project. Have a Kitchen Views professional designer help you create the kitchen of your dreams. 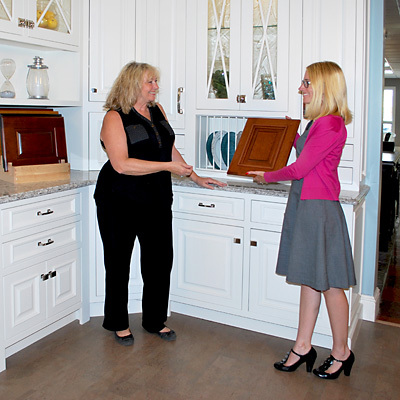 Our designers listen and develop a plan that specifically suits your lifestyle. You can schedule a Personalized Consultation months before you're ready to have any work done. Such a meeting will help you focus on what's most important in your renovation and also plan financially by getting realistic figures for the costs involved. Find more inspiration for painting your home, outdoor living, energy efficiency with windows and much more! Join our General Email List to be invited to events, etc. Speak to us for answers. Visit our stores and showrooms for more info. Oxford Lumber, as part of the National Lumber Family of Companies, has product information provided in the National Lumber eShowroom.